We apply general variational techniques to the problem of the counterion distribution around highly charged objects where strong condensation of counterions takes place. Within a field-theoretic formulation using a fluctuating electrostatic potential, the concept of surface-charge renormalization is recovered within a simple one-parameter variational procedure. As a test, we reproduce the Poisson-Boltzmann surface potential for a single-charged planar surface both in the weak-charge and strong-charge regime. We then apply our techniques to non-planar geometries where closed-form solutions of the non-linear Poisson-Boltzmann equation are not available. In the cylindrical case, the Manning charge renormalization result is obtained in the limit of vanishing salt concentration. 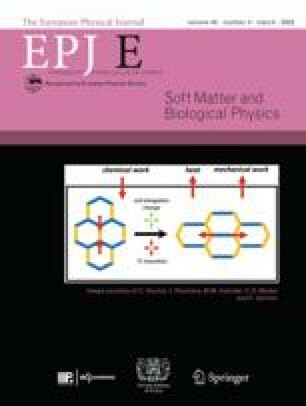 However, for intermediate salt concentrations a slow crossover to the non-charged-renormalized regime (at high salt) is found with a quasi-power-law behavior which helps to understand conflicting experimental and theoretical results for the electrostatic persistence length of polyelectrolytes. In the spherical geometry charge renormalization is only found at intermediate salt concentrations, in agreement with previous numerical results. 82.70.-y Disperse systems; complex fluids - 61.20.Ja Computer simulation of liquid structure - 61.20.Qg Structure of associated liquids: electrolytes, molten salts, etc.